The liberal lying media has reported for years that Reagan made this speech but neglects to tell you that it was not his first speech after the RNC in 1980. He also held a rally in Houston with George Bush (July 19), his welcome-home rally in Los Angeles (also on July 19), and his appearance at an Olympic event (held in lieu of the US boycotting the Moscow Olympics) in Irvine, Calif., on Aug. 2. The Mississippi event was a big event in a state that Jimmy Carter had won in 1976 and that Reagan eventually won by less than 12,000 votes over Carter. To no one’s surprise Reagan’s speech was anything but racist. In typical Reagan fashion he criticized the size of the federal government, the size of welfare and he cheered on states’ rights. 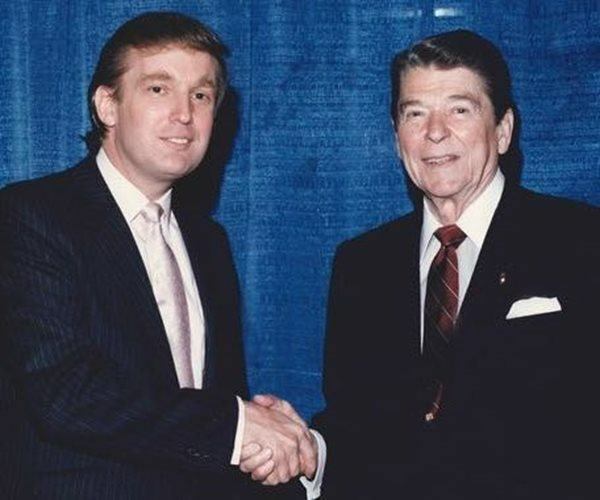 Yes, Trump does sound a lot like Reagan. Reagan was no racist and don’t let the left in using their only argument tell you he was. Oh, and Trump is not racist either. Period.